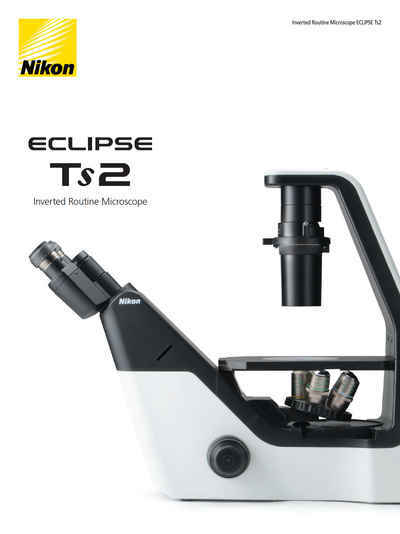 Eclipse Ts2 | Inverted Microscopes | Products | Nikon Instruments Inc.
Utilizing Nikon's industry-leading CFI60 optical system and LED illumination for both Diascopic and Epi-fluorescence imaging, the Eclipse Ts2 inverted microscope offers brilliantly clear images, enabling more efficient cell culture observation and documentation. Furthermore, a newly developed contrast observation method and improved operability enhances its use for routine laboratory work. LED light sources and built-in Diascopic/Epi-fluorescence illumination systems reduce setup time and allow users to concentrate on their research. The LED light source is alignment-free, resulting in faster setup and consistent results. LEDs also eliminate frequent bulb replacements, saving the user time and money. 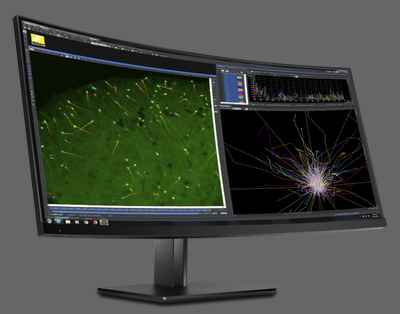 Moreover, the new Contrast Shield (optional) provides high signal-to-noise fluorescence observation even in brightly lit culture rooms. The optional Contrast Shield accessory blocks room light, providing an easy and cost-effective method for achieving high signal-to-noise ﬂuorescence observation in a brightly lit culture room. The high performance mechanical stage (optional) can accommodate a wide range of flasks and cell culture chambers. The new stage design also directly accommodates well plates. In addition, the sample holder is easily removed to accommodate large flasks. 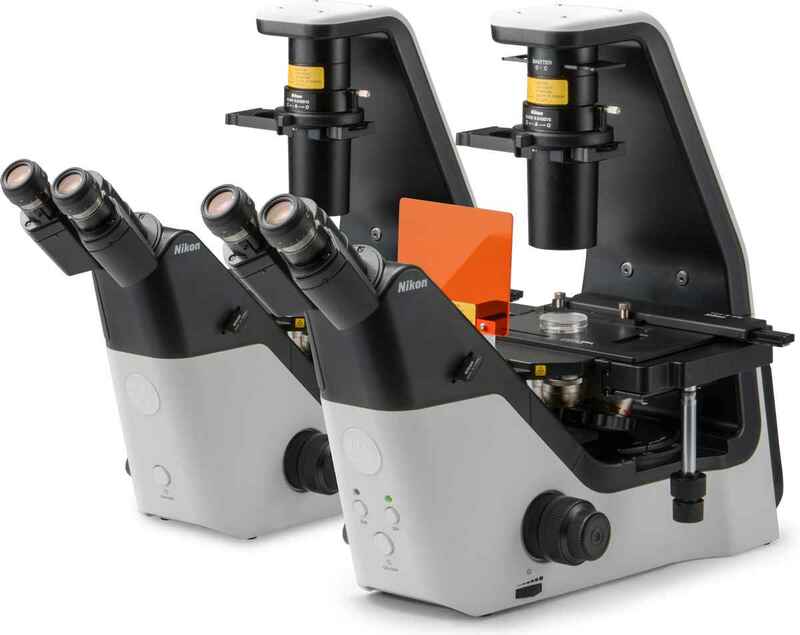 Two models are available to meet your needs; a Diascopic illumination model, the Eclipse Ts2, and an Epi-fluorescence illumination model, the Eclipse Ts2-FL. High-intensity LED sources are employed for both Diascopic and Epi-fluorescence illumination. The built-in fly-eye-lens ensures uniform brightness across the entire field of view. 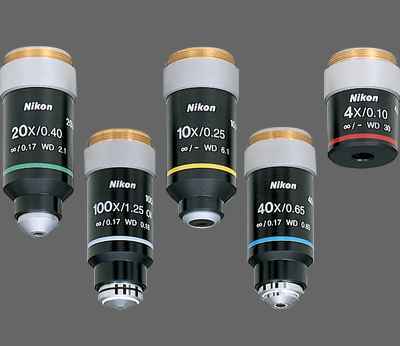 Illumination modules including the Epi-fluorescence light source have been seamlessly incorporated into the microscope main body, resulting in a compact and simple design form that's also durable. 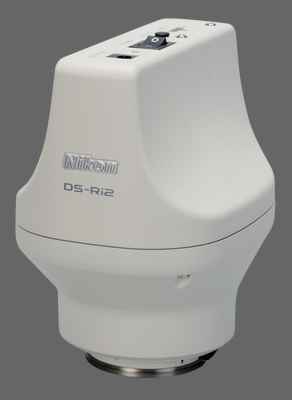 The compact structure is also vibration-resistant to provide highly stable sample observations. The camera port is located on the side of the microscope to provide unimpeded viewing of the stage even when placed inside a culture hood.